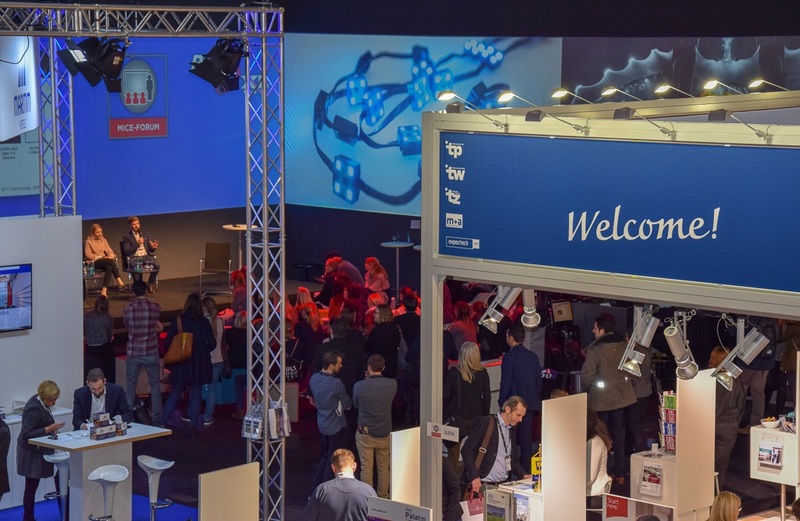 From 10 – 11 January I attended the Best of Events International event at the Messe Dortmund Exhibition Centre. Taking place in the second week of 2018 that was a good opportunity to get back to business after the quiet Christmas and New Year period. Along exhibitors ranging from venues, destinations, catering suppliers, technology providers, entertainment companies and others, four education streams took place that included the MICE Forum, Security Forum, Career Hub, Digital Forum and Acts on Stage. Another highlight was the BoE night. But let’s start from the beginning. What is the Best of Events International, or BoE? The BoE is a trade show for experience marketing, connecting exhibitors with event professionals and offering educational content for attendees across the multiple streams. It’s an annual show for trade visitors without hosted buyer programmes. Until now the show had mainly German focus with only one international exhibitor the Netherlands, but this year saw increase in international exhibitors including Netherlands, Switzerland and Austria. There was a small number of international delegates as well, demonstrating that the show is on the right path to achieve its goals. The venue booking platform fiylo International was a key exhibitor at the show with 42 venue partners and initiated a live blogging coverage of the show, which I was honoured to be a part of. 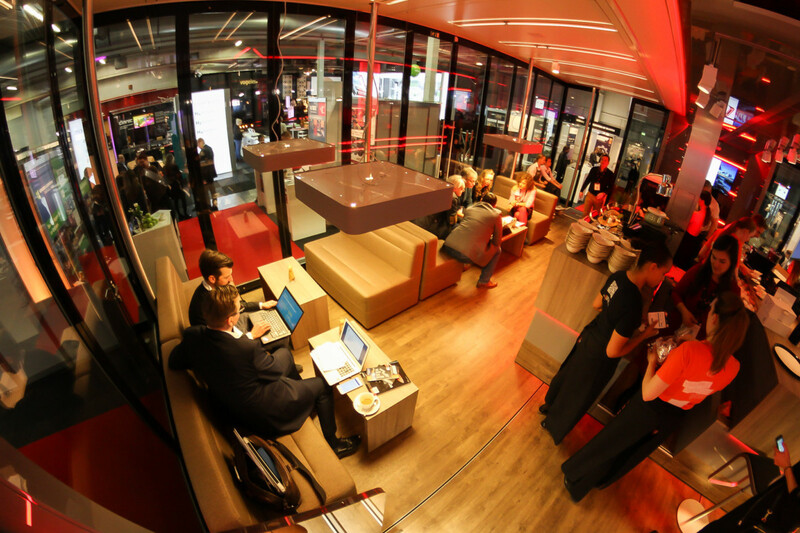 Fiylo’s International base during the show was in the MICE Hall, and the actual stand was a mobile truck that served as a meeting hub for partners and their guests during the two days. The live blogging was a joint team effort of PREGAS, Blitzboxx and Storytile and together we coordinated the live coverage of the event on social media, session write ups, video interviews and images that will stay available post event on the Storytile platform. This coverage was both in English and German and you can find it here. 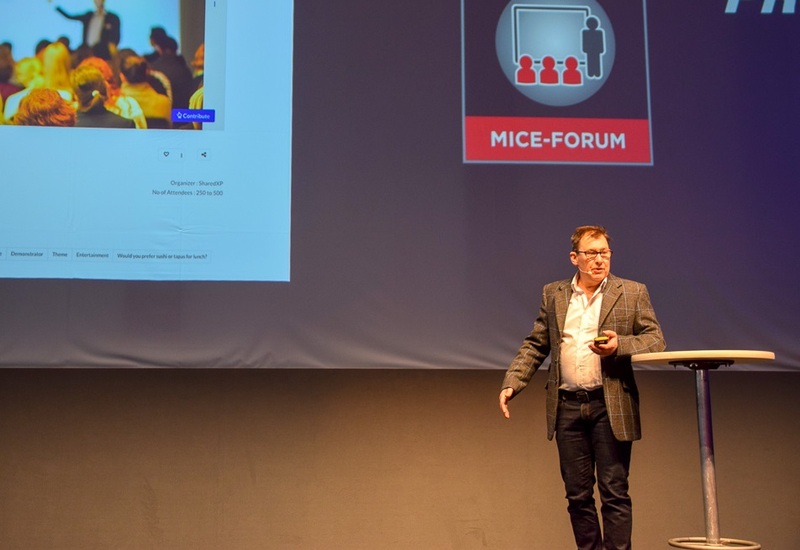 MICE Forum offered a varied education programme with timely and relevant sessions for our current business environment, so here I summarised for you the key takeaways from the sessions I attended. James Morgan, the founder of Event Tech Lab and a key figure in the event technology scene gave a presentation about innovative technologies for events. Newest tech tools include chat bots that can answer the most common questions at events, for example “where is the bathroom”, “where are the ATMs”, “where do I park” etc. Facial recognition is another innovative piece of event technology we’ll see in use. It reduces waiting time in the queue and therefore faster check-ins, it’s more memorable because it greets attendees by name and most importantly it helps with increasing security levels at events. Another innovative event tech is robots and they are great for engaging event attendees. Few examples include product, gadget and merchandise distribution, support product displays and provide info about the exhibitors. It can also collect feedback, making it a fun and interactive process! The advantage is that they can operate throughout the entire show non-stop and do the mundane and repetitive tasks for you. And last piece of technology is Artificial Intelligence that can adjust the information chat bots give out to personal needs. The chat bot will keep learning and be able to handle many interactions to collect enough information and know what attendees are exactly looking for. 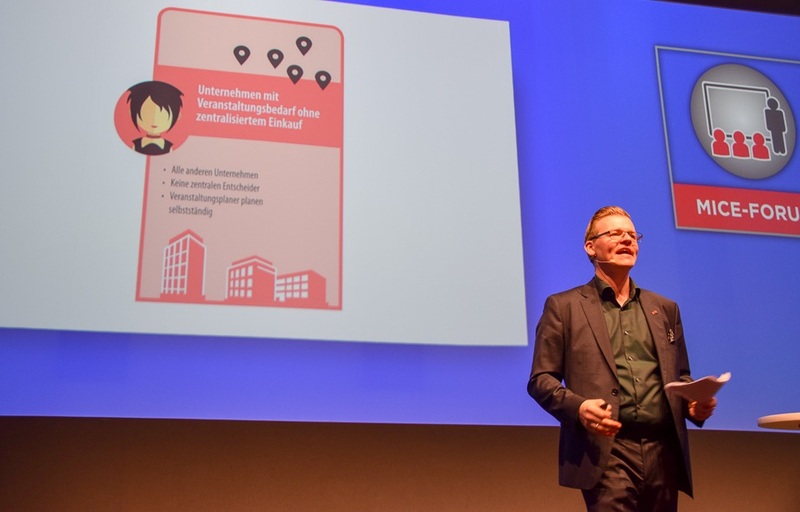 In this session Bernd Fritzges, co-founder of fiylo International and Chair of the German Association of Event Planners (VDVO) talked about the changing landscape of the online booking venue portals. There are three categories of booking portals as we know them today and each targets different users. These range from portals targeting big business volumes and corporate clients, such as Cvent, and smaller portals open to all bookers, regardless booking volume and company size. These portals work on “commission” basis or on “listing fee” basis. The new development on the market is the “hybrid portal”, one that can also show availability and pricing of venues in real time, and hence automate and simplify the entire RFP process. Diversity and women in events are two topics high on our agenda this year. 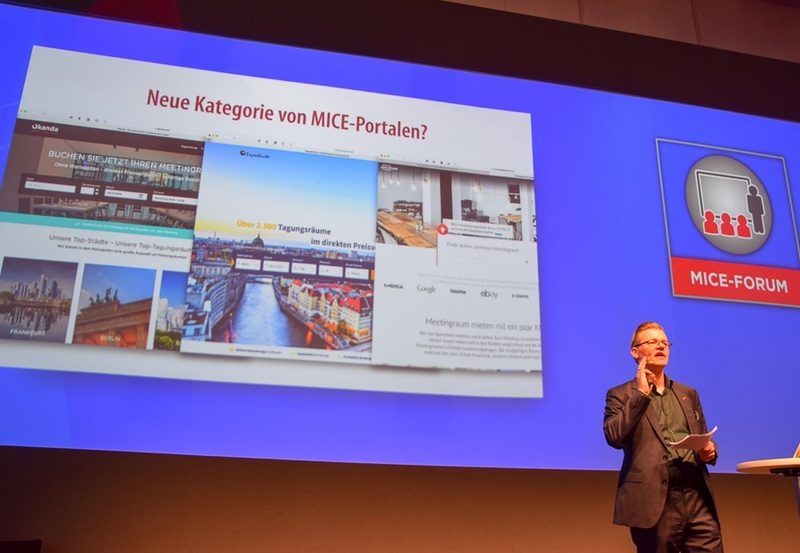 Kerstin Wünsch, editor in chief at the tw tagungswirtschaft magazine presented the results of a study conducted by tagungswirtschaft, m+a report and IMEX Group in 2017. 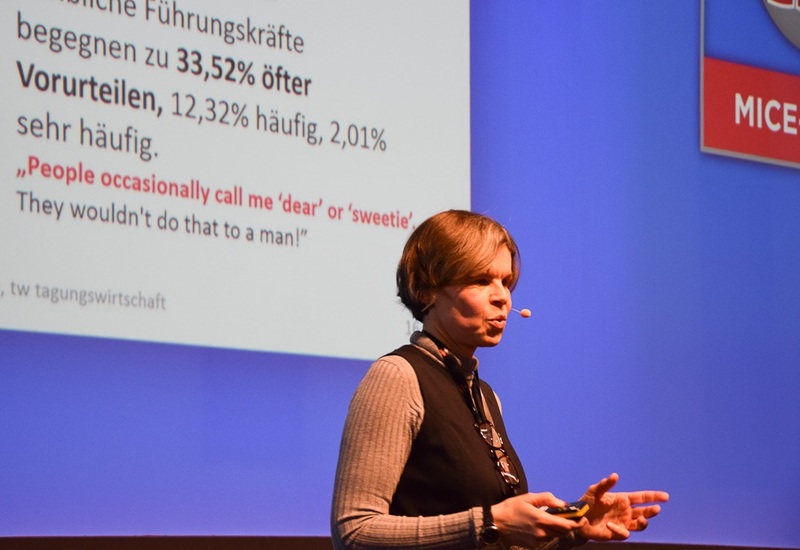 Her session “Women in the events industry – why now” presented the results of their survey. One of the questions was “do you feel equally treated to your male colleagues?” in areas including salary, responsibility, freedom of action, career opportunities, training and trust. While all areas showcased positive response with over 70% “yes”, two areas were a clear 50% NO – no equal salary and no equal career opportunities for women. When asked what factor influences the most women’s career (positive and negative), 58.61% responded maternity leave during active employment. Further 54,91% said that there was a time in their career when they had to choose between career and family. There were also more positive numbers when discussing the role of the partner and said that 64,68% of women who live with the partner share the household responsibility. When it comes to kids only 29,72% said that they share the same responsibility. The majority of women, 32,13%, said that to a large extent they have the responsibility to look after the kids. One of the study interviewee said that “People occasionally call me ‘dear’ or ‘sweetie’. They wouldn’t do that to a man!”. This discussion attracted great engagement and audience Q & A, and further discussions about women in the events industry will take place at IMEX Frankfurt under the title “she means business”. This topic divides our industry into two camps, one pro all women initiatives, like the conference at IMEX Frankfurt or Fast Forward 15, the women only mentorship programme. The second camp says that we need more diversity and men also want to take part in the discussion. With such initiatives the organisers cannot make everyone happy, but by initiating and facilitating the discussion to hear the different opinion and “pain points” we as an industry are already making a progress. In my opinion this conference should be called “equality means business”, because the word “she” sends the wrong message to our male colleagues and we also want them to be involved. The organisers have confirmed that the conference will be also open to men to attend. 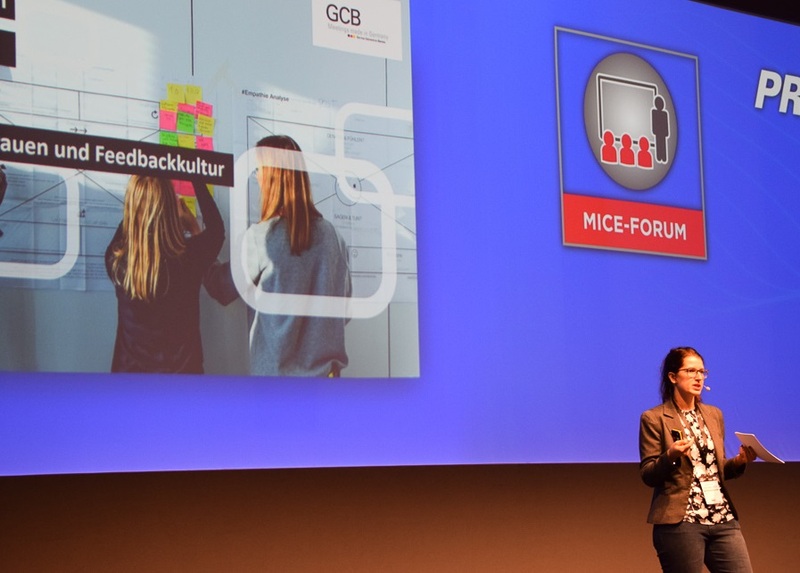 Sara Parr, Content Marketing & Digital Channels at the German Convention Bureau e. V. spoke about the digital transformation happening in the events industry. Given that there is a word “digital” in the title, her session wasn’t just about digital tools but looked at the change in demographics that is now happening in many organisations and evolve around customer focus culture, entrepreneurship, autonomous work, collaboration, digital technology and processes, agility, digital leadership, innovation and learning. If to summarise all the above in one paragraph, nowadays the focus goes into encouraging employees to drive innovation within the organisation by giving them more freedom and trust to experiment, take initiative, make mistakes (and learn from them) and collaborate with other co-workers with the help of all the online tools available. By doing so, organisations will benefit from increased productivity; employees will have increased motivation and improve company culture. Innovation from within the organisation will come if you “just do it”. The BoE night took place on the first night and was at the Messe Dortmund Exhibition Centre. Only walking distance from the main exhibition it was a well organised evening offering street food stands, live DJ and band and networking opportunities. I loved the street food market theme of the evening, it’s very trendy nowadayd and was perfect to offer catering diversity and casual set up. There was a choice of cuisines – Thai, Asian, German, sweets stations and more. During the BoE I stayed at the Dorint Hotel, just a walking distance from the exhibition what made it even more convenient to attend the two days show and the BoE night. This exhibition was on point to get the year into a healthy business start by seeing potential business partners and getting on top of educational topics to know what’s the industry is talking about. I understand German so I could follow the sessions in German, but I hope that next year the organisers will add more English streams, or offer a simultaneous translation. The nature of content was well chosen for the international audience and the exhibition has a big potential to attract more international visitors next year. Being a small show allows time for more in-depth conversation without rushing to the next appointment. Next Best of Events International will take place from 16 – 17 January 2019. Disclaimer: The live blog coverage was sponsored by fiylo International. You can see the full live coverage here. All opinions and the choice of education sessions are my own.